Employer's note: You can work one day a week from home. 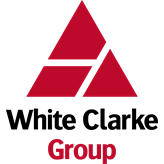 DevOps Engineer - Contract and Permanent career opportunities..White Clarke Group is a leading provider of consultancy services and component-based products and solutions for the captive finance, leasing, and financial services markets. Deploy, automate, maintain, and manage both the on premise and cloud based product environments, to ensure the availability, performance, scalability, and security of environments. Collaborate with Dev/QA/Release teams to achieve the CI/CD process. 3+ years’ experience with development tools such as JIRA, Fisheye, Crucible, Subversion, GIT, Jenkins, Team City, Maven, Nexus and Sonar. Has achieved proficiency in any Development Skill (java preferred), using a variety of methods and tools. Familiar with software tools which automate or assist part of the development process. Aware of tools and techniques (manual or automated) which can be used to document an understanding of the structure, relationships and use of information within an organisation. Aware of methods and techniques associated with planning and monitoring progress of projects. Strong experience with Linux, UNIX and Windows operating systems at an administrator or operator level. A good understanding of JEE technologies such as JMS/JTA/Servlet/WS. Strong experience in administering Java application servers especially Oracle WebLogic, IBM WebSphere, and JBoss Application Server. Strong experience with Java tuning and troubleshooting. Excellent scripting skills (e.g. Python) and automation skills. Hands-on experience with using a broad range of AWS technologies (e.g. EC2, RDS, ELB, S3, VPC, CloudWatch) to develop and maintain an Amazon AWS based cloud solution. Hands-on experience of Container technologies such as Docker, Kubernetes, Swarm. Experience with configuration management and automation tools such as Chef or Ansible. Experience with Directory Services such as AD, Domino, ADLS. Able to integrate AD with the CI/CD Tooling. White Clarke Group is one of the world’s leading providers of automotive and asset finance software, consulting services and technology solutions Delivering proven, innovative solutions to more than 100 of the world's leading finance organizations in 30 countries. We have over 600 staff globally who all share our passion for creating and helping to deliver some of the best & award winning products in our industry. Our people are a diverse bunch of creative & talented individuals who have the freedom to help make our company a success. On the outside we may look corporate but on the inside our Engineering environment is relaxed, supportive and team orientated. We’re looking for Engineers who bring fresh ideas from all areas of the technology stack. We not only offer a great compensation package, but you will have the opportunity to connect & collaborate with likeminded individuals across our global offices. As an organization we will also invest in your learning and development using a blended learning approach with access to online platforms, conferences and professional subscriptions to further your skills. Want to get notified about new jobs at White Clarke Group?